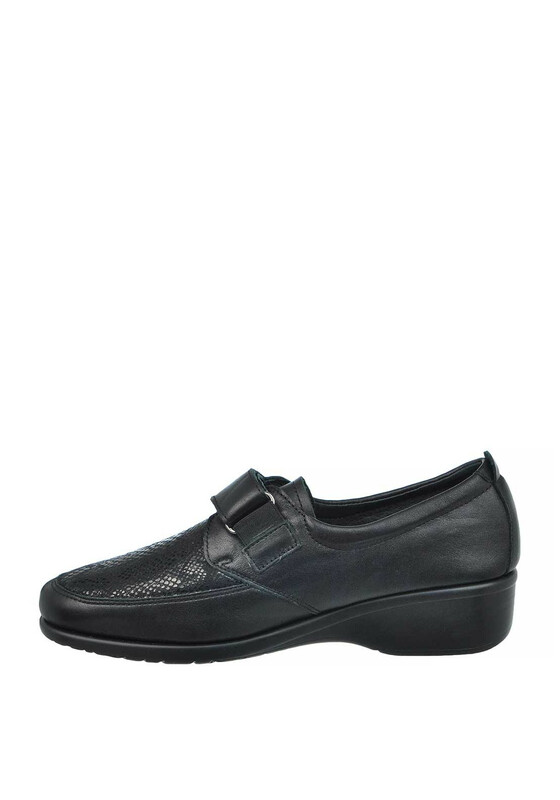 Look and feel amazing in the Amazon Velcro strap shoes from Flex & Go. 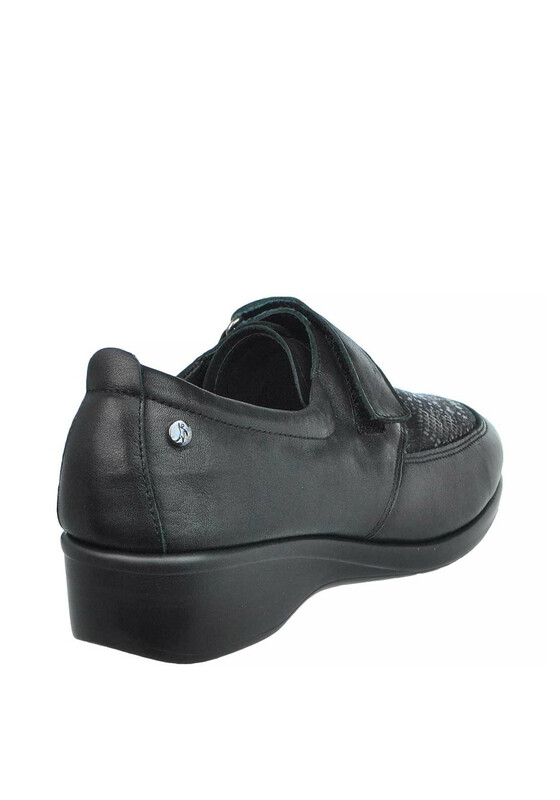 Presented in a high quality leather with a funky reptile print on the textile front, Velcro strap fastening, branded hardware on the side and have a thick durable rubber sole. 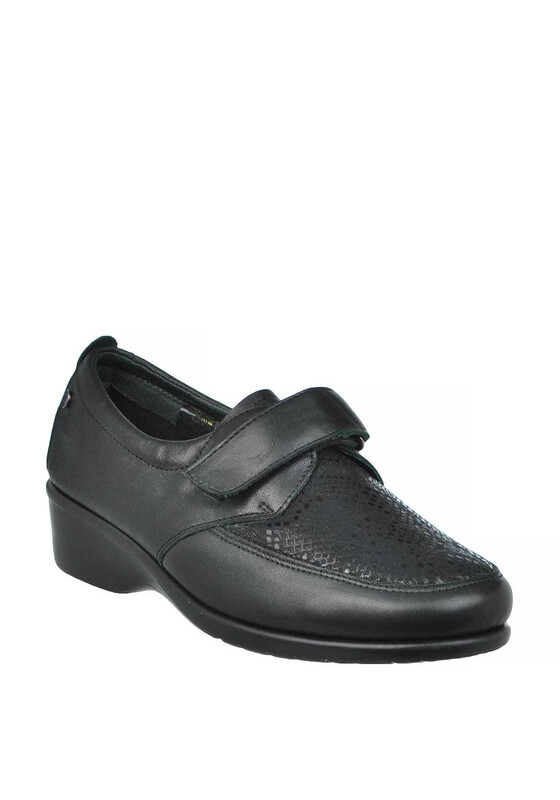 This great pair have a super flexible sole that allows your foot joints to work together for a non-restrictive natural walking experience. 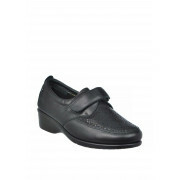 An ideal pair for ladies who are on their feet all day. Material: Upper- Leather and Textile. Lining and Sock- Leather and Textile. Sole- Other Materials.